Have Republicans really dropped their politics of obstruction? Before the holidays, the lame duck Congress passed a flurry of far-reaching legislation, including real compromises (the tax package) and long-cherished progressive goals (the repeal of “Don’t Ask, Don’t Tell”). This is all to be applauded—but one mystery remains: Why was Congress, particularly the Senate, able to get so much done in December that it wasn’t able to get done before the mid-term elections? The answer lies in how high-stakes elections affect politicians’ willingness to vote their conscience—and what happens when those pressures are suddenly gone. For much of the past year, Hill business effectively ground to a halt because Republicans chose party unity over compromise. It was a genius political strategy crafted by Senate Minority Leader Mitch McConnell, whose goal was to ensure that President Obama and the Democrats had as few accomplishments as possible to show the American people in the lead-up to the mid-terms. The Republicans’ politics of obstruction date back to the health care debate, when the White House’s attempts to get moderate Republicans to support its version of reform were stymied. Remember President Obama’s wooing of Senator Olympia Snowe? Who can forget the countless times she trucked up to the White House for a private meeting? Snowe eventually became the lone Republican to vote for the bill in the Senate Finance Committee—but she then voted against it on the Senate floor, even though that version met even more of her specifications, like higher subsidies for the uninsured. Snowe’s professed reason for opposition? She needed more time to study the bill. But, in fact, it seemed clear that she just wanted to help her party, which was determined to stop reform any way it could. The president was left with only one strategy: passing it with Democratic votes alone. After that victory, the GOP’s obstructionism only got worse. Scott Brown’s victory in Massachusetts had given Republicans the 41 Senate seats needed to start a filibuster, and that became their tool of choice, though they seemed willing to use any measure necessary to kill Democratic bills. Climate change legislation: dead. A simpler bill just to deal with our country’s reliance on oil: dead. Immigration reform: dead. During the summer, something as uncontroversial as the food safety bill stalled on the Senate floor. Then, in September, the Senate rejected a defense authorization bill that included a repeal of DADT. Why the all-out refusal to cooperate? Because, with the mid-terms looming, Republicans wanted to ensure that bills didn’t have a veneer of bipartisanship. They wanted to show that Democrats couldn’t govern, and they wanted to bring down the president’s poll numbers. “I think the reason my members are feeling really good,” Senator McConnell said last spring, “is they believe that the reward for playing team ball this year was the reversal of the political environment and the possibility that we will have a bigger team next year.” And he was right: Thanks to mid-term victories, the GOP ranks on the Hill will swell in 2011. But things shifted after the election. In the lame duck session, several moderate Republicans changed their tune. Senators Snowe, Collins, and Murkowski all crossed over on repeal of DADT, as well as on ratification of New START and passage of the tax bill. 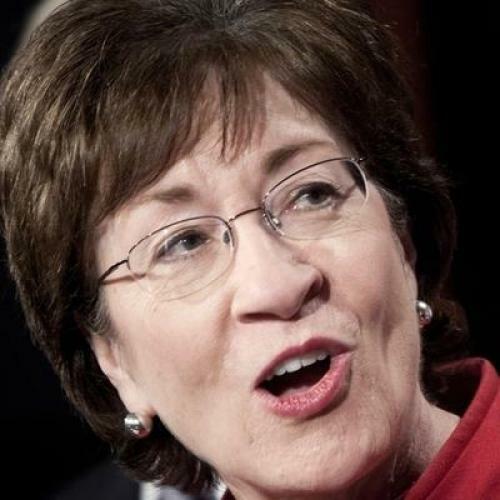 Senator Collins, in fact, didn’t just cross over: She worked overtime to save DADT repeal by passing it as a single bill, rather than as a rider. And there were other bills Republicans helped pass, such as food safety legislation (finally) and money for September 11 first responders. The reason for the change? Republicans have gotten what they want, at least for now. With the election over, the push for “team ball” isn’t nearly as strong. The GOP has seized the House and diminished the Democrats’ seats in the Senate to 53. This meant that, in the lame duck session, moderate Republicans could vote their conscience rather than continue to hunker down under McConnell’s policy of obstruction. For the first time in months, they could back Democratic bills, like DADT, that had strong public support. In short, they were finally able to help Congress do its job. But this raises the question: In the next Congress, will moderate Republicans continue to vote their consciences? Or will Republicans immediately revert to the strategy that won them all those seats in 2010, and obstruct the Democrats at every turn? You can see it going either way. On the one hand, we are still two years from the next election, and so moderate Republicans may feel that they have a window to continue acting as they did during the lame duck, at least for the next few months. What’s more, now that Republicans control the House, they may believe they will be held responsible for any gridlock to a degree they weren’t before. Taken together, these two factors could lead to a productive start to the next Congress. Or maybe not. Republican presidential candidates will want to keep attacking Obama and any legislation his party proposes—and the GOP ranks on the Hill might fall in behind them. They might again choose obstruction over legislative effectiveness, hoping this will ensure that Obama doesn’t win a second term. In other words, whether Washington works in 2011 or doesn’t is still an open question. Neera Tanden is the chief operating officer of the Center for American Progress. She served in the Obama and Clinton administrations.